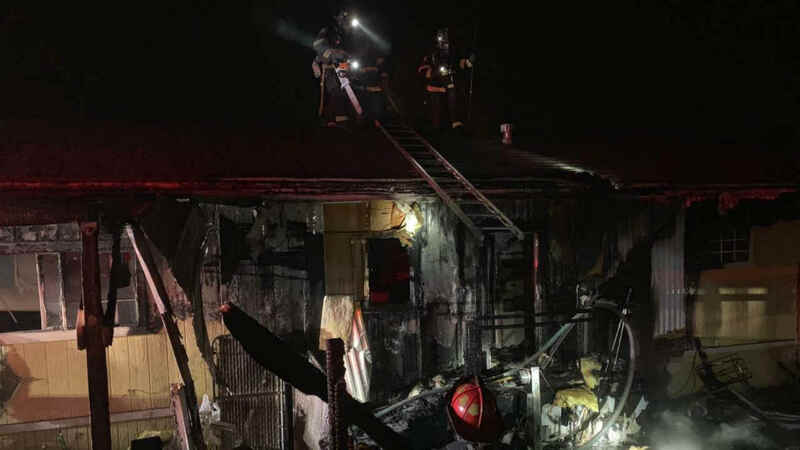 VALLEJO, Calif. -- Fire crews have contained a two-alarm fire at a mobile home park in Vallejo that has displaced nine people early Sunday morning, including six children, according to fire officials. According to Klauber, fire crews that arrived on scene requested a second alarm after seeing the proximity and the flammability of the trailers to one another. The fire was placed under control before 5 a.m., but Klauber said crews will be at the scene throughout the morning for salvage and overhaul. Nobody was injured in the fire that displaced three adults and six children. A fire investigator has been called to the scene, and the American Red Cross is assisting those that are displaced, Klauber said.